The Constitution’s Eighth Amendment prohibits cruel and unusual punishments. Judicial interpretation of this vague language reins in state power in many respects. It is far from completely satisfactory, however. The Court has held capital punishment to be constitutionally acceptable, for instance. It has also declined to impose a minimal proportionality standard on noncapital sentencing. And it has not established a comprehensive standard for regulating the state’s carceral responsibility for prisoners. 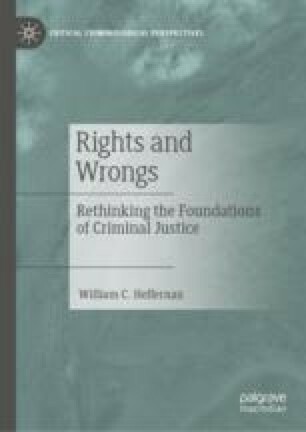 This chapter proposes remedies for each of these justice deficits. It doesn’t set aside the general principle prohibiting cruel and unusual punishments, in other words. Instead, it proposes concrete measures that will make it more meaningful.